There is likely not one environment on earth, natural or man-made, that is 100% safe from insects, rodents, or some type of pest. Some buildings, businesses, homes, etc. are simply more conducive to pest infestation than others. Possibly one of the biggest challenges is knowing that you have a problem when all the signs and symptoms are well hidden. Additionally, figuring out how the invading entity got into your building in the first place is paramount. Without securing your space, it will never be entirely yours. Pest control companies know the ins and outs of how the little invaders get in, where they like to hide and live, what they eat, what attracts them, how to get rid of them, and how to keep them from ever coming back. No spray, trap, or powder off of a store shelf is going to offer you the kind of protection and prevention that we at PEST deliver every day to our customers. You can rest assured that you are in good hands with experienced, helpful, and knowledgeable people at your service. And every single one falls under ‘disease carrying’ in some shape or form. Aside from the sheer gross-out factor of bug infestations, the chances that they are carrying bacteria, disease, viruses, germs, and any multitude of unhealthy aspects is exponential. Not to mention the fact that some of their bites or stings are poisonous and may even be deadly. Surely, they have their place in the world – just not your place. And that’s why PEST wants to be your pest control company. To help you reclaim your space and keep it under your control. Not under the control of insects and rodents. Why Do You Need Pest Control for Your Industry? It is not uncommon to think of rodents and flying or crawling insects when most people refer to pest infestations. But did you know that grease traps, moisture, and insulation can be particularly problematic when it comes to pest infestations? Rodents and bugs can feast and make homes in and on almost anything. They need water and food, and that’s about it. If they can make themselves comfortable, all the better. There is virtually nowhere on the face of the earth that these invaders cannot enter and make themselves at home. That is why it is essential that no matter what your industry, specialty, business, or environment you always keep an eye out for infestations. But you will not always know when you have a problem. Yet another reason why consulting a professional pest control company is so very vital. They know all the hiding places, all the signs, and symptoms, all the nooks and crannies, all the tricks of the trade. 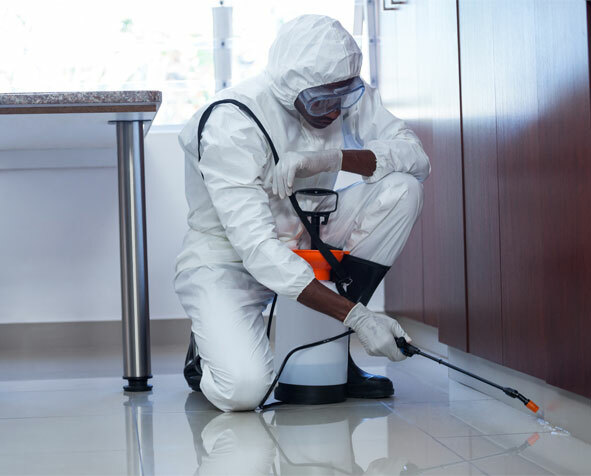 A professional pest control company is really the only way to be absolutely, positively sure that you have gotten rid of any and all pests and that they (or new kinds of unwelcome invaders) never return. PEST can offer pest control to a multitude of businesses, homes, buildings, and environments. But we also offer other services that, you might be surprised to find out, are related to the pest-control business. We drain and clean grease traps and would be happy to set up an appointment for you. We also offer expert entomologist consulting for troubleshooting pest control problems that may be exceptionally unusual. Call us or email us today to set up an appointment. No matter what your pest infestation situation is, we can give you the help that you need at affordable rates.